Chart DOM is one of my favourite Sierra Chart features. It gives users the flexibility to synchronize chart, and DOM. Chart DOM has all features of traditional Sierra Chart DOM, with ability to attach (and synchronized) into a chart. Sierra Chart DOM is higly customisable, and light weight. In my trading, I always have a chart, which I call “Entry Chart”. It is a simple Footprint/Numbers Bars with Chart DOM attached. I have customized the Chart DOM with additional columns such as Bid/Ask Market Pulling stacking, Recent Bid/Ask volume etc. 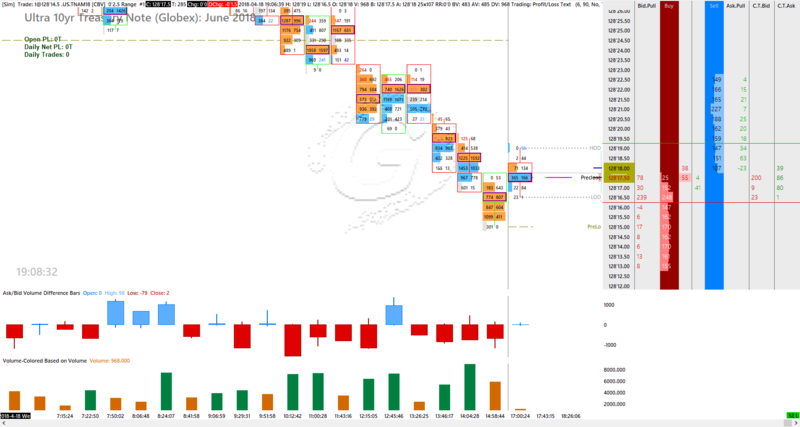 The main purpose is to have a quick view of price movement (from Footprint/Numbers Bars chart), while trading on DOM. I have attached the chartbook here. Please feel free to download, customize, and share it if you found it helpful. You can download the chartbook HERE.